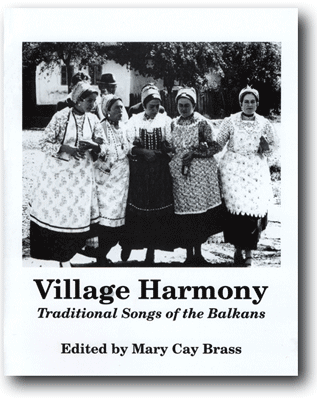 Includes 29 traditional Balkan village songs from Croatia, Bosnia, Serbia, Macedonia and Bulgaria. With full musical transcriptions, translations and pronunciation guide. Mostly transcribed from village sources; but also included are a few Kutev and Lado arrangements. Songs for women’s voices as well as for mixed voices. Twenty-three of these songs are recorded on the companion Village Harmony album.